Train Deaths – Who’s Liable? It was a beautiful fall afternoon along the James River in Lynchburg, Virginia. The air was crisp, and the leaves that hadn’t fallen were yellow and red and orange. It was a perfect afternoon for a walk. The train trestle that runs through Lynchburg provides a panoramic view of the surrounding countryside. It is also a good shortcut home depending upon where you live in the town. Such was the case on Saturday afternoon for a Liberty University student and his girlfriend. Jonathan Gregoire and his girlfriend, Victoria Bridges were out for an afternoon walk with a group of their friends. Apparently, they had walked the railway trestle on many occasions, but this one would be very different. Around 4:20 on Saturday afternoon, local EMS responded to a call at the trestle. What they would find would keep them on the scene for more than two hours. Just moments before, the train operator heading toward the trestle spotted some people on the tracks. At that point, it was impossible to stop the train. 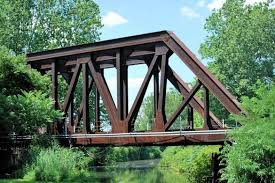 It is reported that Victoria Bridges is the girl who jumped from the trestle; she fell roughly 100 feet. She survived and was transported to a Lynchburg hospital where she is in stable condition. Jonathan Gregoire was pronounced dead at the scene. So, can Gregoire’s and Bridges’ families sue Norfolk Southern? They can, and most likely will do so. But what are their chances of being rewarded damages, particularly for the Gregoire family, whose son was killed? A spokesman for the railroad says there are No Trespass signs at either end of the one-track wide trestle. The trestle is railroad property. Trespassing is a misdemeanor in the Commonwealth of Virginia. Can the victims’ families sue Norfolk Southern?